With Disney stories kids can find the courage they need to believe in themselves just as their favorite characters do.With personalized Disney books from KD Novelties, kids can feel even more connected to their favorite characters by being inserted into the very stories that they already know and love. Disney has been inspiring kids and adults alike for almost 100 years. With groundbreaking full-length animated motion pictures, computer animated adventures, and more, Disney has created countless classics. Disney is the source of many of today’s most beloved characters. For children connecting with such characters can be incredibly helpful. As kids learn to grow and develop into their own individuals, they face challenges and obstacles that may stand in their way. Personalized books have proven to be beneficial to children in many ways. For reluctant readers, finding themselves at the center of the story can be enough to draw them in. It can also help them develop key skills that can help improve reading comprehension. Personalized books can help kids who are going through certain milestones such as learning to potty train or going to school for the first time. These books can help them actualize their goals and feel less alone. 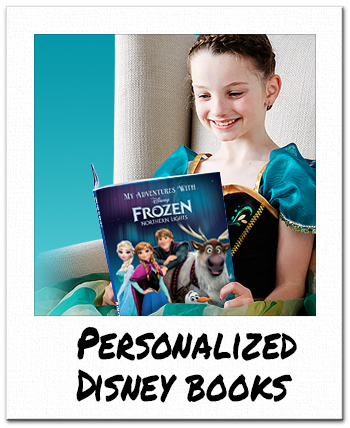 Kids can enjoy more than 25 Disney books at KD Novelties, and each one can be personalized. They can learn about courage and friendship along with their favorite Disney Princesses in “Disney Princess Tales of Bravery” and “Disney Princess Tales of Friendship.” They can also join the Avengers or other daring Marvel characters in “Guardians of the Galaxy 2” or “Thor Ragnarok”. And you can’t go wrong with classics like “Disney’s Winnie the Pooh Story Book”, “Disney’s Snow White Story Book”, or “Disney’s Pinocchio Story Book.” They can even enjoy more recent Pixar classics like “Disney’s Finding Nemo”, or “Disney’s Finding Dory” and more. With the help of lovable characters and timeless stories, Disney has inspired generation after generation to keep trusting in themselves. Working toward their dreams, and believing in the power of love, friendship, hope and courage. With their favorite characters at their side in the heart of their favorite stories, kids can learn to love reading and to become their best selves with personalized Disney books.